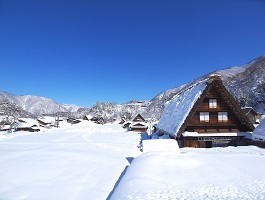 Shirakawago is widely known as one of the most scenic places in Japan. It is surrounded by pine tree covered mountains, and it is located along the picturesque Shokawa River. 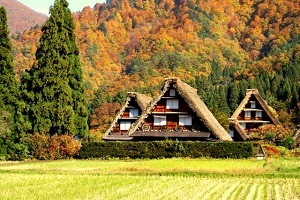 Besides the beautiful scenery, the unique Japanese thatched-roof farmhouses are the center of attraction. There are approximately 180 thatched farmhouses, sheds, and barns, and most of them were built about 200-300 years ago. 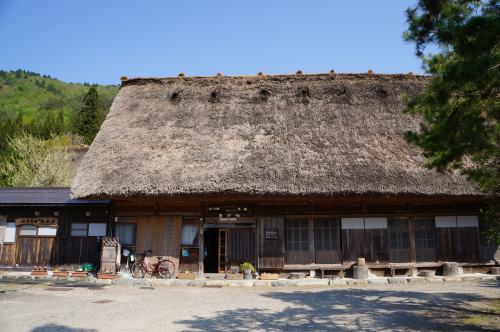 The residents of Shirakawago still live in several small villages. 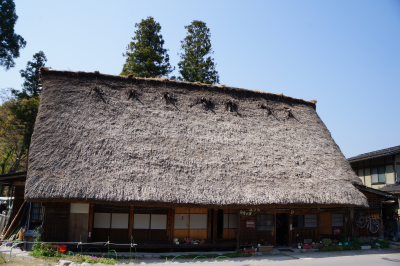 The most popular village for visitors is Ogimachi which in 1995 was declared World Cultural and Heritage Site. 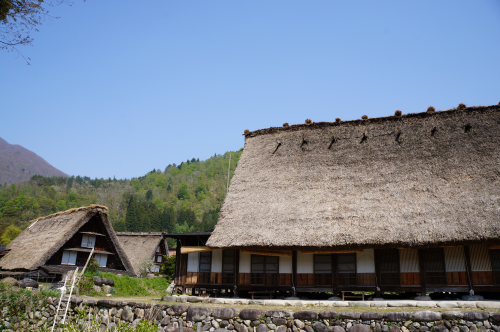 Although it is off the beaten track, Shirakawago is well worth the visit. Please note. 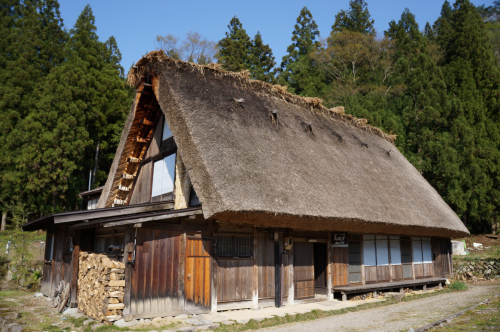 All Minshuku (Japanese style farm house) only allow guests to stay a maximum of 1 night in each house. If you would like to stay 2 or more nights you will need stay each night in different houses. Also please do not bring any large suitcases as there is not room to store it in the minshuku. 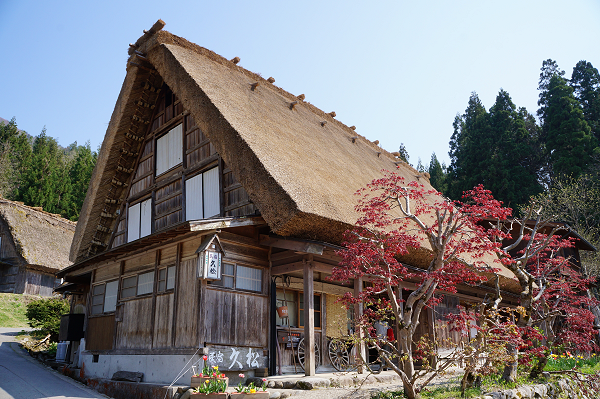 Alternative destinations with easy access to Shirakawa-go are Takayama and Kanazawa. 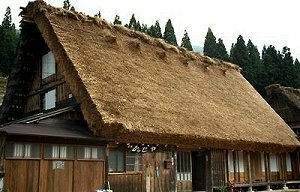 An alternative destination to Shirakawago is Ainokura which also offers gassho tsukuri thatched roof farmhouse accommodations. It is very important to check in to your minshuku by 17:00 (5:00pm). If you arrive after this time then they will not be able to serve you dinner but yo will be charged for it. Also there are no other evening restaurants or shops to buy dinner so you will go hungry. We do not want you to go hungry so please check in before 17:00 (5:00pm). Minshukus in Shirakawa-go only accept payment by yen cash, so make sure you have enough cash when you travel to Shirakawago, also please note that ATMs only work during business hours on business days. Please get cash in a large city before you come to Shirakawago. If you do not have enough cash the innkeepers may call the police. Food is purchased and prepared fresh for each traveler. Please let us know if you need to cancel your reservation as these minshuku are family owned, small accommodations so "no shows" cost them money in wasted food and an open room. Also maintaining these historical farm houses is expensive but the families do this as an act of love. Select only your Top 3 Minshukus per destination so we can check the ones you really like! If all of them are full then we will suggest a similar minshuku. Welcome to Shirakawago-Shimizu. 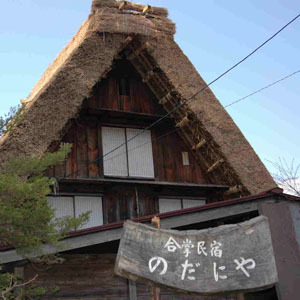 This Gassho-Zukuri has a 200 year old history, and there are 3 traditional Japanese-style guest rooms. There is also a shared bath and toilet facilities for the guests. 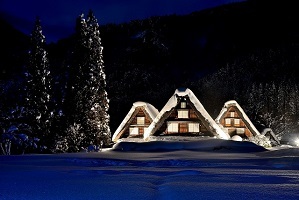 Homemade Japanese-style cuisine is served to the guests at Shirakawago-Shimizu. Check-in time is after 15:00 and check-out time is before 9:00 am. Some English is spoken. Welcome to Koemon. 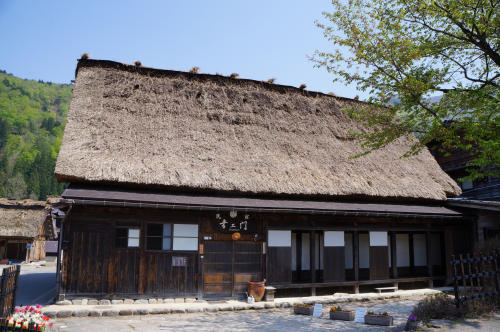 This Gassho-Zukuri minshuku was built during the Edo Period (1603-1868) and is perfect for guests looking to experience Japan in a very traditional way. 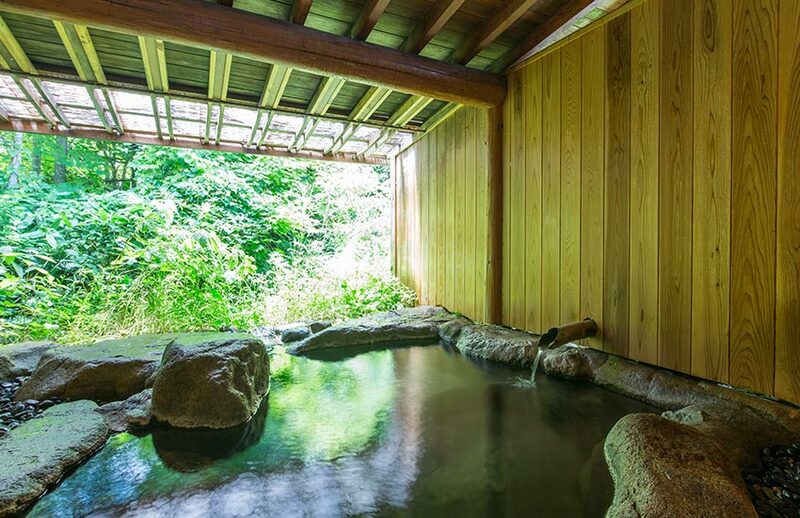 It has 5 Japanese-style guest rooms without their own private baths or toilets, and there is a family bath that can be used from 17:00-21:00. Local, Japanese-style cuisine is served to the guests in an Irori sunken hearth room at Koemon. Welcome to Nodaniya. This Gassho-Zukuri was built 150 years ago and is perfect for guests looking to experience Japan in a very traditional way. 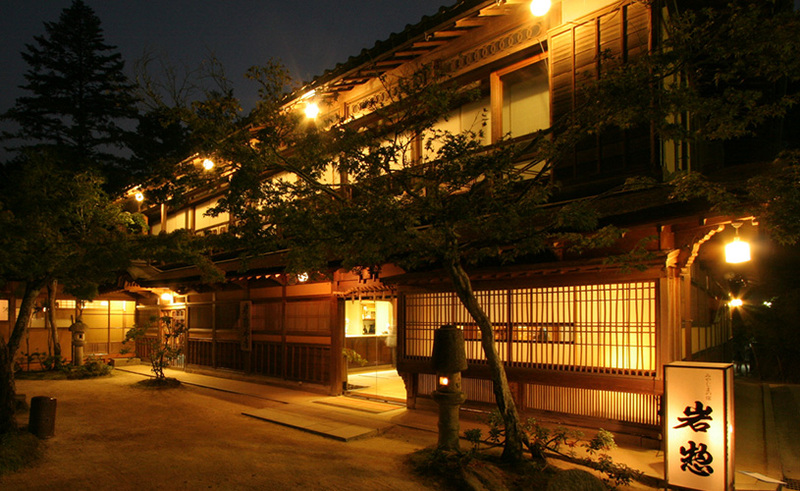 It has 4 traditional Japanese-style guest rooms. At the Nodaniya none of the guest rooms have a private bath or toilet. From their room guest can enjoy the view on the pond or on the waterwheel. Homemade Japanese-style cuisine, especially fresh vegetables from the mountain are served to the guests at Nodaniya.